For years we’ve said that chefs are the new rock stars. Now, two high-profile local chefs—Duff Goldman, from Charm City Cakes West and Food Network’s Ace of Cakes, and Bruce Kalman, from Union and soon-to-open Knead and Co Pasta Bar—are putting that theory to the test. They’re trying to be actual rock stars—like, with guitars and bright lights and everything. 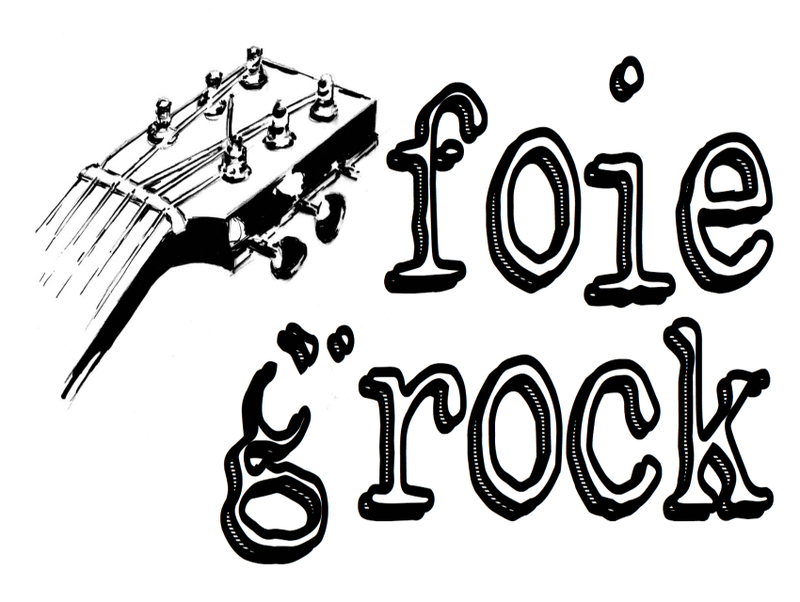 The two started “LA’s #1 chef-led alternative rock cover band,” and it’s called Foie Grock. Because of course it is. “We tossed around a lot of names,” Kalman says. “Bread Zeppelin. Meatshop Boys. A Flock of Meatballs. Oreo Speedwagon. Limp Brisket.” The food-music puns are endless. Foie Grock came together rather, um, organically. Kalman and Goldman were standing next to each other at an event, and someone told them they looked like they were in a band. “Well I do sing and play guitar,” Kalman said. “And I play bass,” Goldman replied. And there you have it—magic. Along with Kalman on lead guitar and vocals and Goldman on bass, the rest of the band includes a few others in the local food world, even if tangentially. Drummer Francis Castagnetti is general manager at Union in Pasadena, and guitarist Ben Offenberg works for Resy, the reservation app. Only Jeff Liffman, who plays keyboards and sings back up vocals, is the professional musician. But he’s a “serious eater” the others say. Before, or most likely while, the two chefs were coming up in the ranks, both have played instruments for years, even publicly. “I played in a Jersey rock band for awhile,” Kalman says. “We opened for Meatloaf!” Goldman has a more storied past on stage with several Baltimore bands: Big Mama Cotton Crotch; the “post-rock” soihadto; Danger Ice, a psychobilly Elvis cover band; and Two Day Romance, an Emo band that “almost got signed by Sony,” he says. “Thank God we didn’t or I wouldn’t be cooking today.” Two of Goldman’s bands included other chefs he worked with at the time. You can catch Foie Grock’s first public appearance this week, on Thursday, October 1, at Room 5 in West Hollywood. Tickets are $10 (get them here), which is cheaper than anything you’ll eat at either chef’s spots. Proceeds from this performance will help a friend and fellow Union manager recently diagnosed with cancer cover medical costs for her treatment (find more info on their Gofundme page). As for when they’ll play next, Kalman says as much as they can. “It just all depends on our busy schedules.” Rock and roll, people. Rock. And. Roll.